The Memorial Candle Program has been designed to help offset the costs associated with the hosting this Tribute Website in perpetuity. Through the lighting of a memorial candle, your thoughtful gesture will be recorded in the Book of Memories and the proceeds will go directly towards helping ensure that the family and friends of Raymond Stout can continue to memorialize, re-visit, interact with each other and enhance this tribute for future generations. BANGOR – Raymond H. Stout, 82, passed away May 10, 2018, at a Bangor healthcare facility. He was born March 17, 1936, in Pollard, Oklahoma, the son of Roy H. and Laura A. (Young) Stout. Raymond graduated from high school in 1953. In 1954, he enlisted in the U.S. Marine Corps, making his way to officer status, known as a Mustang Marine. Raymond served two tours of duty in the Vietnam War, retiring as a captain in 1974. 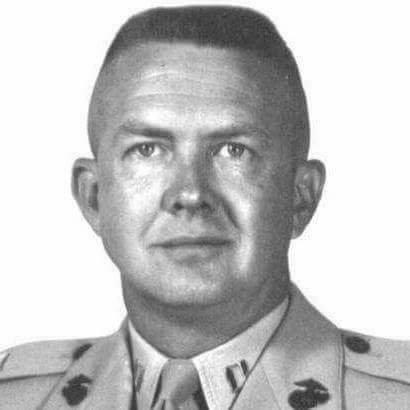 Following his service, he attended the University of Maine, earning a Bachelor’s Degree in Accounting in 1979. Raymond worked at the University of Maine Chancellor’s Office for 15 years before retiring. As an avid sportsman, after retiring, he became a Registered Maine Guide. Raymond was one of the founders of the Veazie Salmon Club, and an active member of Trout Unlimited and the Penobscot Conversation Club. Ray was well known for his love of fishing and his fly tying skills. In addition to his parents, Raymond was predeceased by his wife of 56 years, Jeanne M. Stout. He is survived by 3 children, Scott Stout and wife, Brenda of Glenburn, Sandra Patrick and husband, Tom of Holden, and Stefanie Goodine and husband, Kris of Hermon; 5 grandchildren, Sara Stout and fiancé, Todd Ellis of Bradley, Benjamin Stout and wife, Brianna of Holden, Adam Patrick of Holden, Mercedes Speed and husband, Brett of Bangor, Tanner Goodine of Hermon; 1 great-granddaughter, Lillian Stout; 5 sisters, Louise Scott, Polly Gifford, Doris Warren, Alma Goodson, Sue Chadwick; 5 brothers, Harold, Gerald, Mike, Jimmy, and Mark Stout; and several nieces and nephews.